Buckminster Fuller was an American inventor, philosopher, mathematician, and one of the twentieth century's most original and prolific thinkers. 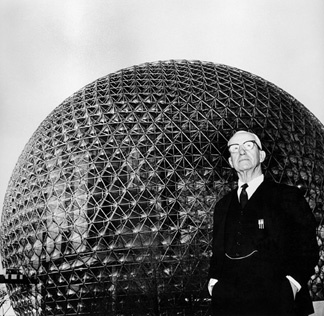 He is best known for his concept "Spaceship Earth" and for inventing the geodesic dome. The chemicals known as fullerenes are named after him.